Our property manager knows of quite a few other rentals, so if those below are not suitable or available, let us know your requirements by emailing at info@arenalbuyersrealty.com, and we may yet be able to help you. Latest additions are at the bottom of this list. 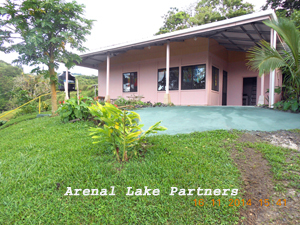 We have decided to provide information about homes for rent here at Lake Arenal since this may be helpful to at least two types of clients of our agency. 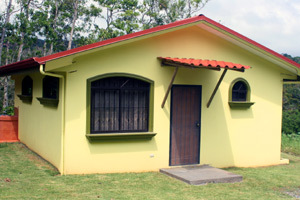 Some persons may wish to live here for a while on a trial basis or while looking for their ideal property, while others who buy a Tico-style home for remodeling may need to live off-site for several months until the reconstruction is done. Of course, some clients buy a lot or acreage and proceed to build an entirely new house. 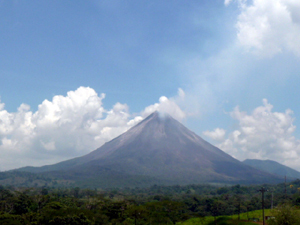 Since some homeowners here still split their time between North America and Costa Rica, their homes are often available for rent. And, of course, there are houses here that are purely for rent. We will be adding to this page as we gather information about the rentals. 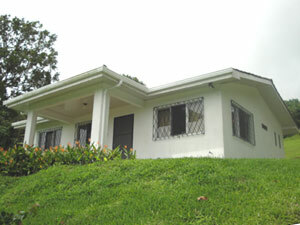 This remodeled home has a beautiful private setting on a hillside overlooking Tronadora village and Lake Arenal. It's close to a village supermarket and the public busline. The max occupancy is 4 persons. Click here for more photos. 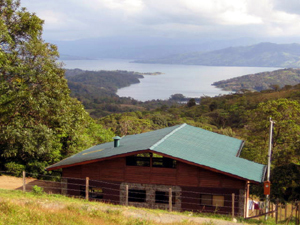 Located 15 minutes or so east of Tronadora on the scenic lakeside road to Rio Chiquito, this cabin has beautiful views of the lake and volcano. The owner's home is on the same landscaped property. 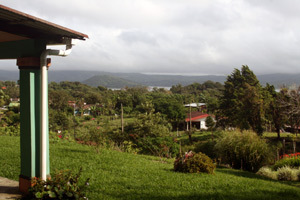 This location epitomizes the semi-tropical beauty and peace of rural Costa Rica. This three-year-old cottage has a very nice hillside setting on a large property on which also sits the home of the helpful cottage owners higher on the hill. Though it's quite private, it's just 3 blocks from the public bus stop in the pretty village of Tronadora. There's high-speed Internet and Wifi throughout. Satellite TV is also available at additional charge. 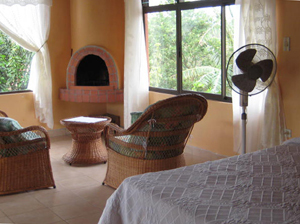 A daylight basement apartment in a new home, this is a fine place for walking a beautiful trail that follows the forest along the lake to the village of San Luis and observing the toucans, monkeys and other wildliife. It's secluded, peaceful, and beautiful. Very privately located amid wildlife-rich forest high above the lake, this creatively rustic modern (2010) home provides a great respite from crowded northern areas with uninspiring terrain and extremes of hot and cold. It's balmy and fascinating here. 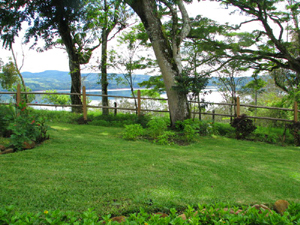 Located at the village of Sabalito at the northwest corner of the lake, this spacious and comfortable apartment can accomodate 4 persons. Rates are $45 a day for two (3-day minimum), $245 a week, and $600 a month. Rates are higher December thru April. Non-smokers only. 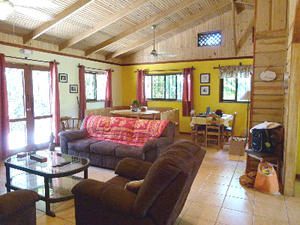 Near the village of Aguacate about 10 minutes north of Nuevo Arenal, this large open-plan home has wonderal lake and volcano vistas and is extemely well furnished and outfitted in kitchenware and linens. Cute one bedroom with a view of the lake. Price is $600 furnished and $450 unfurnished and includes utilities. 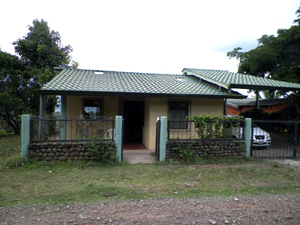 It has one bedroom, large enclosed veranda, living, dining, kitchen, bath with shower, and an office/laundry. Rates vary according to low or high season. Weekly, it is $550 during low season, $750 in high season. Has rare direct access to lake. Close to Puerto San Luis Lodge and Yacht Club. 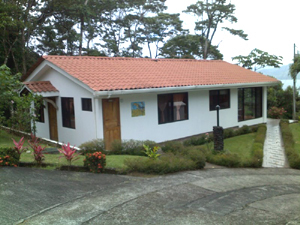 Between the villages of Tronadora and San Luis, this home, is 100 yards from public bus. It has forest, valley, and territorial views. The rates are$55 a night, $300 a week, $450 a month. 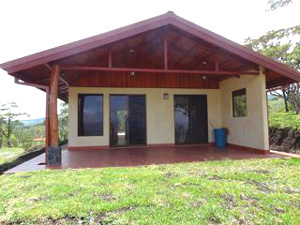 The new house with new kitchen and laundry appliances is near the windsurfing center at the northern end of the lake near the village of Rio Piedras. Colorfully updated, this Tico-style home is located at the village of El Roble, a 10-minute walk to the stores and bus stop in the village of Tronadora. It's very quiet and private except for the abundant birdlife and occasional howler monkeys. There's 70-channel TV as well as Internet. This modern small home in hillside village of Chimurria (El Roble) is within easy walking distance to villages of Tronadora and San Luis, the San Luis Cove marina and to the public bus line to Tilaran. 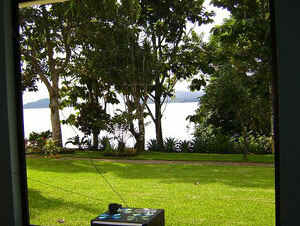 Or rent a car to go farther afield to river excursions, zip lines, hot springs, etc.